1 percent. They have tripled their share of the nation’s total wealth to 21 percent since the 1970s. Such extreme concentrations of wealth are of growing concern to economists and even one Wall Street firm. They argue that it hurts the economy for everyone. The public’s reaction couldn’t be more different. Their preferred solution to barely coping financially is to become rich themselves. Two out of three Americans told Gallup they aspire to being rich and say that the super-wealthy are good for the country. Democrats and Republicans are equally enamored of the rich. What it means to be in the top 1 percent is, for most of us, an abstraction since the wealthy largely keep to their own. But the crew of the Double Sunshine tour boat are happy to show tourists the lifestyles of Florida’s rich and famous during daily tours of the dolphins and multimillion-dollar mansions on Naples Bay. During my Christmastime tour of the bay, the crew pointed out one property where the new owner had demolished a $49 million house to build a new one. 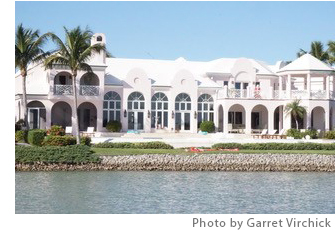 “Tear-downs are on a tear,” says The Naples Daily News, which closely follows the real estate transactions of celebrities and chief executives. A 1970 contract negotiation between GE and its unionized workforce is unimaginable today. A strike then slowed production for months at 135 factories around the country. With inflation running at 6 percent annually, the company offered pay raises of 3 percent to 5 percent a year for three years. The union rejected the offer, and a federal mediator was brought in. GE eventually agreed to a minimum 25 percent pay raise over 40 months. “They said we couldn’t, but we damn sure did it,” one staffer said about his union’s victory. Former Wall Street Journal editor Rick Wartzman tells this story in his book about the rise and fall of American workers through the labor relations that have played out at corporate stalwarts like GE, General Motors, and Walmart. Critics use examples like GE to argue that unions had it too good – and they have a point. But that’s old news. What’s relevant today is that the pendulum has swung in the opposite direction, and blue-collar and middle-class Americans seem barely able to keep their heads above water even in a long-running economic boom. New York University economist Edward Wolff in a January report estimated that workers lost much ground in the 2008 recession and never recovered. 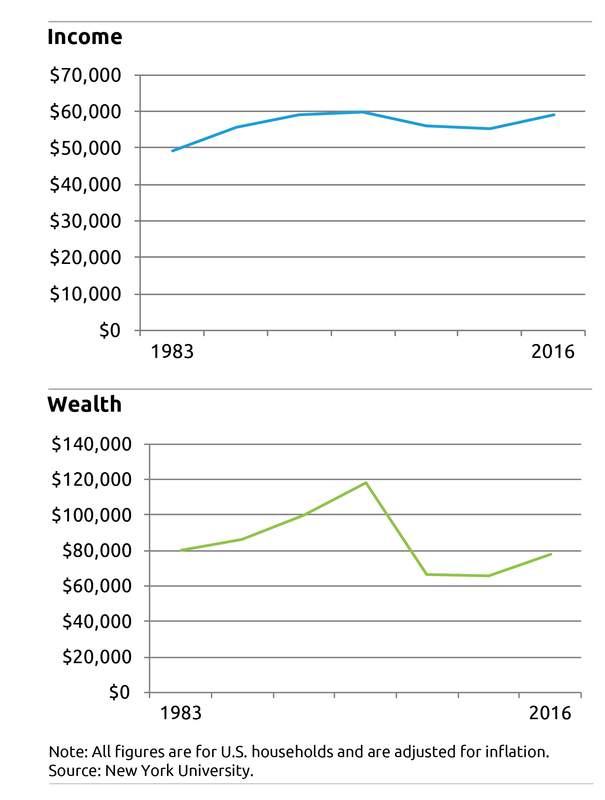 The typical family’s net worth, adjusted for inflation, is no higher than it was in 1983 and far below the pre-recession peak. Granted, workers’ wages have gone up recently, though barely faster than inflation, but they had been flat for 15 years. Workers are also funding more of their retirement and health insurance. Wartzman’s theme in “The End of Loyalty: the Rise and Fall of Good Jobs in America” is that the system no longer works for regular people, because companies have weakened or broken the social contract they once had with their workers.